This CD was immediately appealing given my love for all things turn of the century (19th to 20th) the wondrous contribution of the French to all aspects of that time’s aesthetic, my relatively nouveau affaire d’amour with the cello and a musical encounter with Amir Farid performing the 1st Piano Trio by Brahms. This was a feature of the final concert of the 3MBS marathon series of that composer and Farid played as part of the Benaud Trio. An ANAM and Melbourne Conservatorium graduate, he is gobsmackingly good. He won the Australian National Piano Award in 2006. The pianist has such intensity and ferocity in his playing that I wondered about the need for a piano tuner as a constant side-kick. 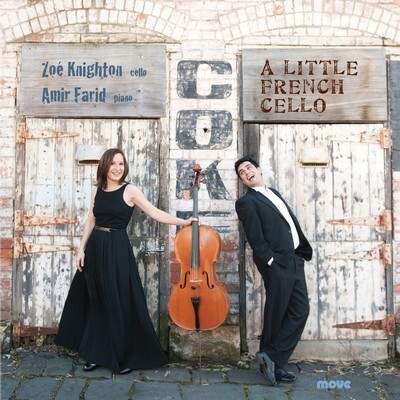 Zoe Knighton is an equally renowned cellist, a founding member of the award winning Flinders Quartet. The sound she achieves is quite unique; technically and musically stunning with an earthy, woody and convex sound that welcomes the listener in. Much cello playing is more introspective. Together they weave their magic, attuned to each other with a constantly monitored balance always sought between them. Fittingly, Debussy opens and closes the album. He wasn’t a particularly pleasant human being in many ways but his musical contributions far outweigh his mortal indiscretions and we are fortunately the recipients of this aspect of his being. I feel ambivalent towards the opening arrangements of his piano pieces for cello and piano, particularly the very familiar Claire de Lune because vertical texture and tonal chroma were the raison d’être for Debussy’s uniqueness and this can go missing in action when a melodic line is drawn from his works. To be fair, I’m not fond of his orchestral music either. He didn’t seem, to this listener, to be able to hear the final impact of the translation of his works for some instruments and it’s a little too fluoro for me. But this is a personal affliction. Contrarily, his Sonata for Violoncello and Piano is an extraordinary piece of craftsmanship – visionary. It is played here with all the daring, mourning and exuberance required of it. Like many composers, Debussy’s music matured enormously as he had more life experience and composing savvy under his belt and this is an end-of-the road piece written in 1915, three years before he died. It is emotionally charged and technically challenging – an absolute tour de force, superbly interpreted by Knighton and Farid. My fave on the album. But there are other delights. Of particular note are the fabulously contrasting pieces by Nadia Boulanger, a teacher of Elliott Carter and Astor Piazzolla to name but two of her highly regarded students. She ceased composing with the premature death of her sister. We are the poorer as a result. These pieces were originally written for organ, but translate well here, given the rich and evocative capacity of this duo’s playing. The first piece is plaintive, with mellifluous melodic surface playing on cello and a gentle rippling undercurrent on piano. It’s in the wondrous key of Eb minor, a forever giving scale. The second has English references in its modality and is more romantic than the first. The third is a fabulous – well one can hear Piazzolla here, with its lowered second and great rhythmic romp. Knighton performs most creditably on this work, which is highly challenging in its pacey coverage of the fingerboard from top to toe. 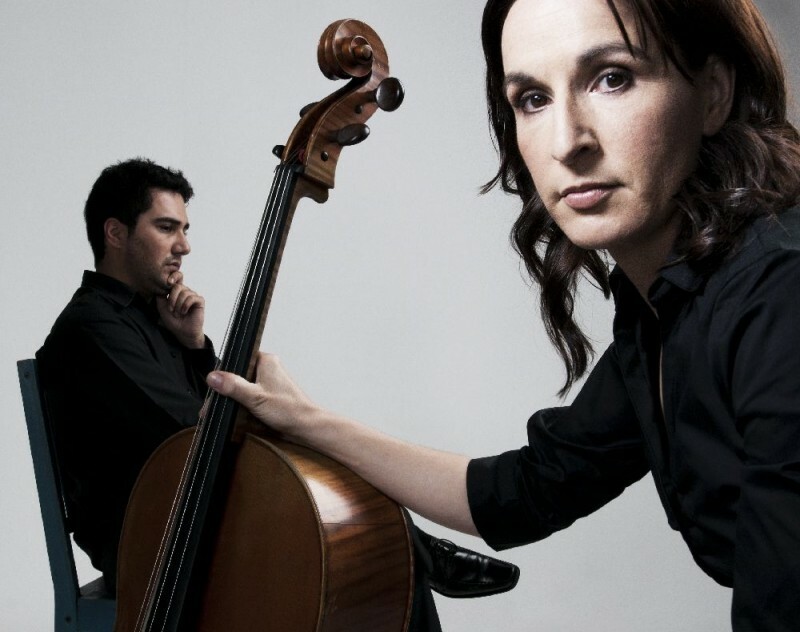 The piece that most captured the imagination of Knighton and Farid is the Jean Huré Sonata in F sharp minor for Violoncello and Piano. This is easy to understand. Where most of the composers represented on this album have in many ways adapted to the very French style of impressionism, this is utterly and unapologetically romantic. So bring on that piano tuner because Amir Farid is provided with the kind of pianistic roller-coaster ride he so obviously enjoyed in performing the love-struck and love-stuck Mr. Brahms. Indeed there are elements reminiscent of Brahms in its contrasting heaviness and fluidity, though very much lacking that composer’s rhythmic complexity. The piano part makes great use of block chords and expansive arpeggios. The more measured aspects of the piece nudge impressionism with their open modes and lovely modulations whereas the downright assertive are utterly romantic, temperamental in the use of the melodic and harmonic scope of both instruments. The strongest compositional aspect lies in the use of Huré’s key changes, particularly later in the piece. Amir Farid is in his comfort zone. Knighton by no means gets off scot free and soars magnificently in this piece. It is easy to see how much joy there must have been in bringing this challenging work together. There’s also some soothing and appealing Fauré on the album arranged by Michael Staudt, indeed the album is a feast of tempting delights, beautifully balanced across the disc and all performed with great skill, musical integrity and dedication. Knighton and Farid have collaborated on a number of albums and it is obvious how much they enjoy performing together.